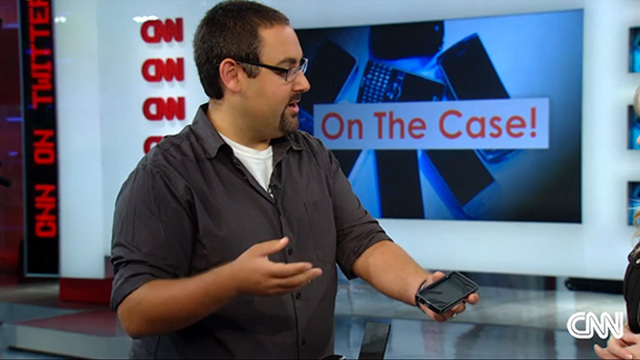 Matt Sloane, tech expert for CNN, shows off some of 2014’s latest and greatest smartphone cases. Guess who made the list? None other than CandyShell Amped for iPhone 5s/5. Amped gets a round of “WOWs” from Matt’s colleagues when he shows how the case blocks the speaker at the bottom of the phone, reroutes its sound through the horn shape, and channels it out the side of the case for over 2x louder and clearer sound. Plus, it’s packed with military-grade protection for daily drops and spills. Click here to watch the full video, and follow us on Twitter to #getamped about the latest in mighty slim protection!